"A pianist of wide culture, with a keen intelligence, sensitivity, open-mindedness and imagination in keeping with his extraordinary virtuosity", Frédéric D’Oria-Nicolas is "an exceptional, subtle, powerful and elegant pianist" Classiquenews, "a master of symphonic storms and images" Midi-libre, The intelligence of his programs, his generous personality and the particularly warm contact which he maintains with his audience do make him an exceptional artist. Frédéric D’Oria-Nicolas has graduated from the Moscow State Gnesin Academy of Music from the class of Professor Tatiana Zelikman. He has also received the advice of distinguished musicians such as Dmitri Bashkirov, Lev Naumov and Vladimir Tropp. His career has been punctuated with many awards: the ADAMI Classical Revelation, the First prize at the Saint-Petersburg Mravinsky Competition. He has also been rewarded by the Bleustein-Blanchet Vocation Fund, the Charles Oulmont Fund and the Mécénat Musical Société Générale. In 2009, he was elected "Artist of the Year 2009" by Resmusica. His record dedicated to Schubert for the Fondamenta label was unanimously greeted by critics: "From the very beginning of the D960 Sonata, we are struck by a very beautiful sound which leads us into that outstanding piece as in a dream. Indeed, such sound control isn’t given to everyone and contributes to the bewitchment we feel" Pianiste Magazine "Frédéric D'Oria-Nicolas has captured the essence of the twenty-third sonata outstandingly. In addition to the exceptional sonority, the style is natural, steady, assured and elegant" Concertonet "His vision is both spectacular and humble, never forced upon us but always guided, so that it leaves us in suspense, plunged into a musing close to ecstasy" Resmusica. Strong of his 360-work-repertoire, Frédéric D’Oria-Nicolas has performed in more than 23 countries – at the Moscow Tchaikovsky Conservatory, Saint-Petersburg Hermitage, Tbilisi Conservatory (Georgia), salle Gaveau, Arsenal de Metz, Oratoire du Louvre, the Hamamatsu Act City (Japan), the Shanghai Oriental Center (China), the Dharwamangsa Ballroom (Indonesia), the AV-Intelligence Hall (Singapore), the Munsterland Festival (Germany, the Saint-Petersburg White Nights Festival, Kuhmo Festival (Finland), Estate Musicale di Portogruaro (Italy), Amsterdam Grachten Festival (Netherlands), Bratislava International Festival (Slovakia), Festival de Saint-Denis, Festival de Prades, Festival de Colmar… He is regularly invited at various French and foreign radios and television channels such as France 2, Kultura (Russia), WDR 3 (Germany), France-Musique, France-Culture, Radio-Classique… In 2009, his noteworthy Two Piano recital in Paris with Alexander Kobrin has been broadcasted by Mezzo Channel, in 39 countries. 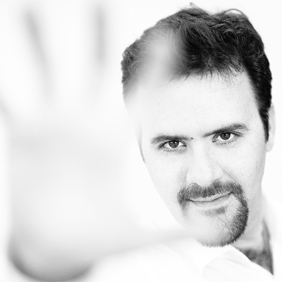 As a popular chamber music partner, Frédéric D’Oria-Nicolas plays with Svetlin Roussev, Alexander Kobrin, Lise Berthaud, Xavier Phillips, Nicolas Dautricourt, François Salque, and Laurent Naouri. This has led him to take on the artistic direction of Fondamenta Productions in July 2008. Frédéric D'Oria-Nicolas has been nominated with Alexander Kobrin in the "best chamber music album" category at the 2014 International Classical Music Award for "Heritage" - his last recordings dedicated to Rachmaninoff's two-piano works.